How does all this affect wildlife? 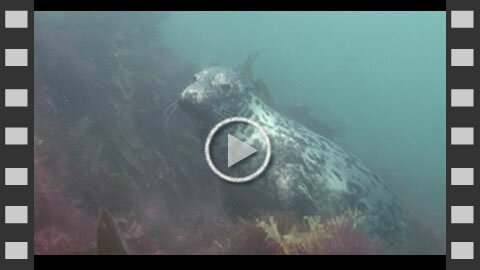 Grey seals, like the one in this video, love to eat fish. The fish eat minibeasts that live in the water. These minibeasts enjoy eating micro-organisms called plankton. This is called a food chain. Waste water from the gas platform is called 'grey water.' It comes from things like cooking, washing plates, washing clothes and washing people. Grey water is not the water that is used to flush the toilet! This is treated separately. Grey water from the gas platform is emptied into the sea. It acts like a fertiliser for the food chain. Which section do you want to look at?